Discos en vinilo y CD de Open Channel For Dreamers. Review: Following up a great inaugural release by Portland's AC$, mysterious new imprint Open Channel for Dreamers (or simply O.C.D.) presents Montreal based Adam Solomon with four retro flavoured techno cuts, which take their cues from early sounds of Sheffield and Detroit. 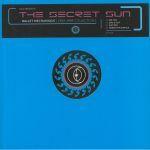 Starting off with the funky minimal techno-soul of "B 50" reminiscent of Titonton Duvante and the deep space transmission of "40.000 Light Years Away". 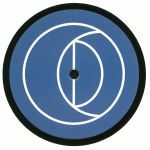 On the flip, "Track For J" shares the same penchant for retro techno in the vein of recent releases on Berlin imprints Libertine and Slow Life, but the best was certainly saved for last on the hypnotic journey of "Sky Ride" with its evocative bounce that's led by those sweet arpeggiated pads. Next online in 5 hrs 36 mins.